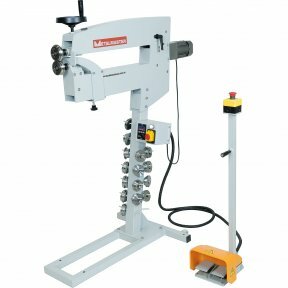 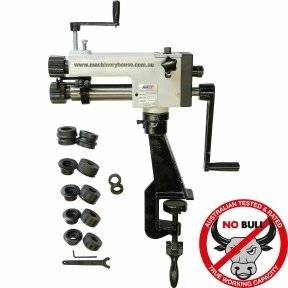 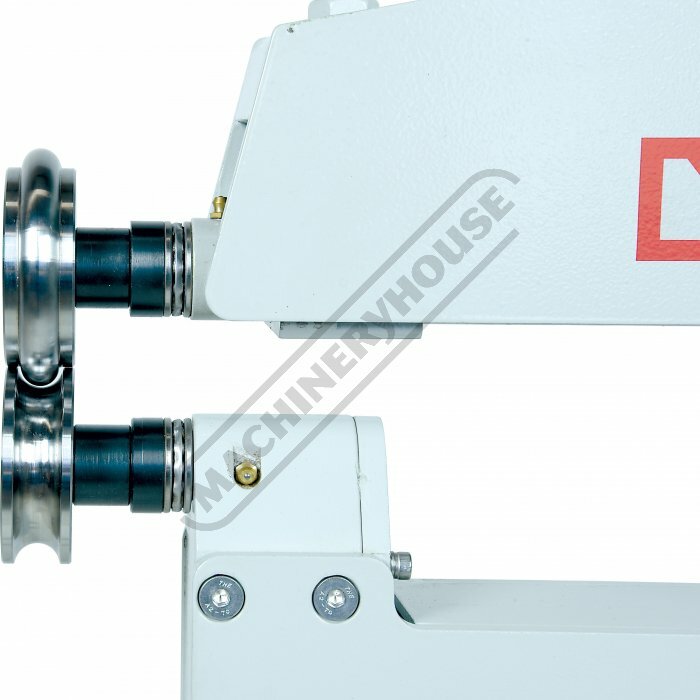 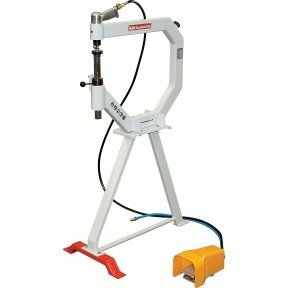 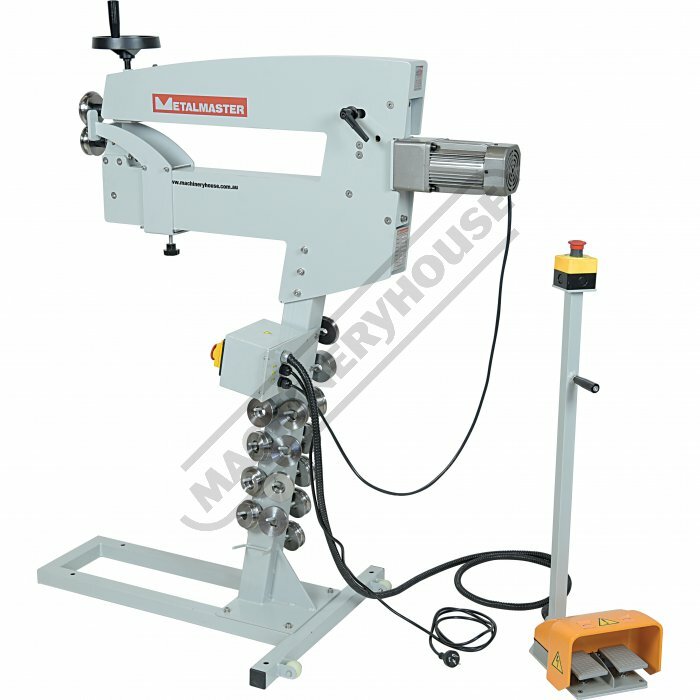 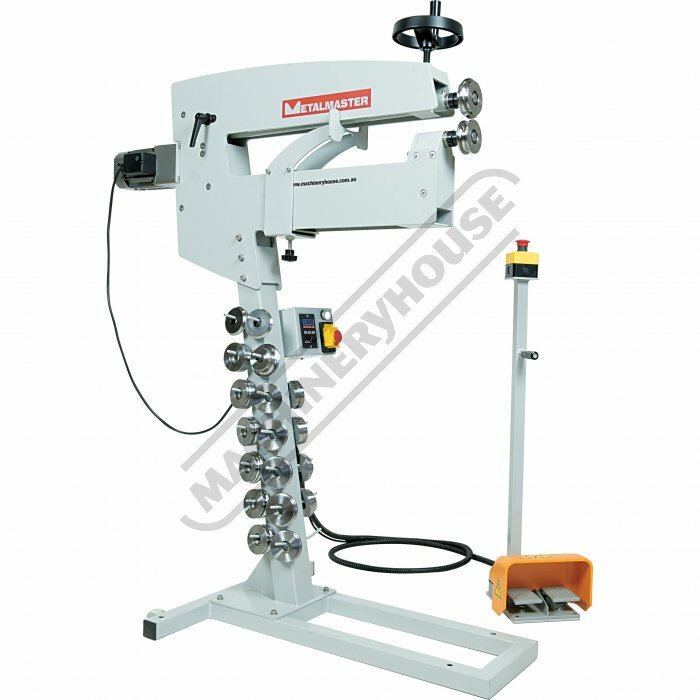 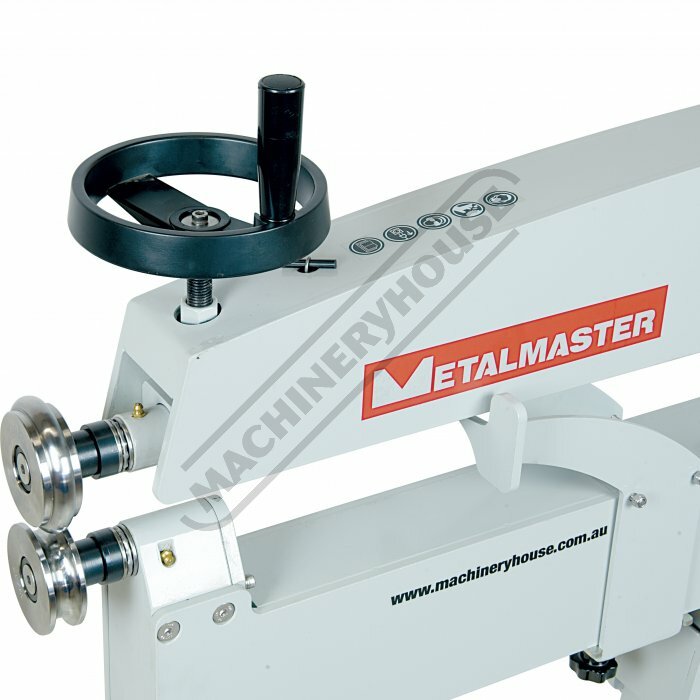 The MBR-610 motorised bead roller is much easier to use compared to manual machines to having your panels beaded in your home workshop or garage. 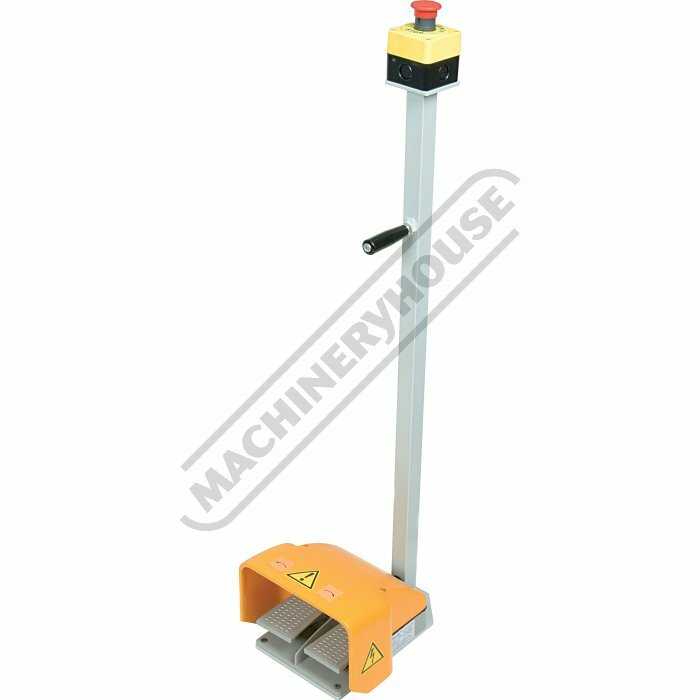 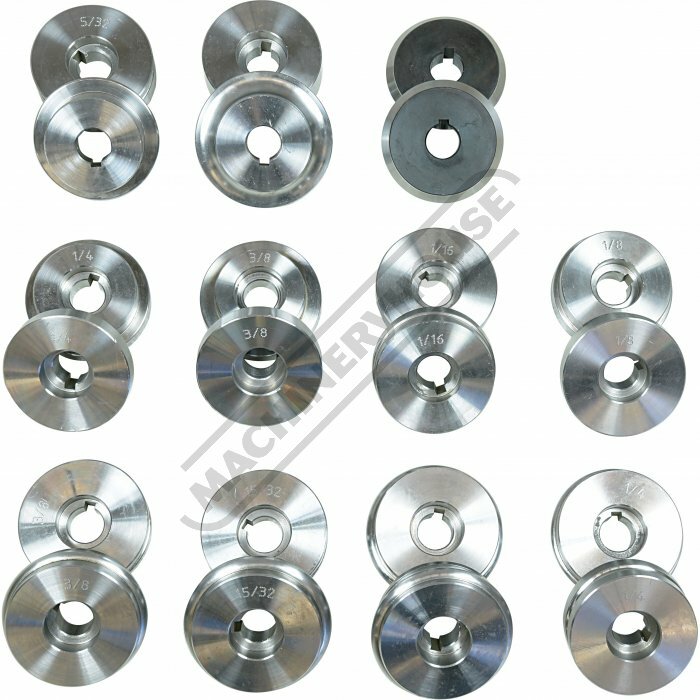 Made from heavy plate steel and a massive 610mm throat depth making it perfect for strengthening any type of car roof, body panels, seals & guards etc. 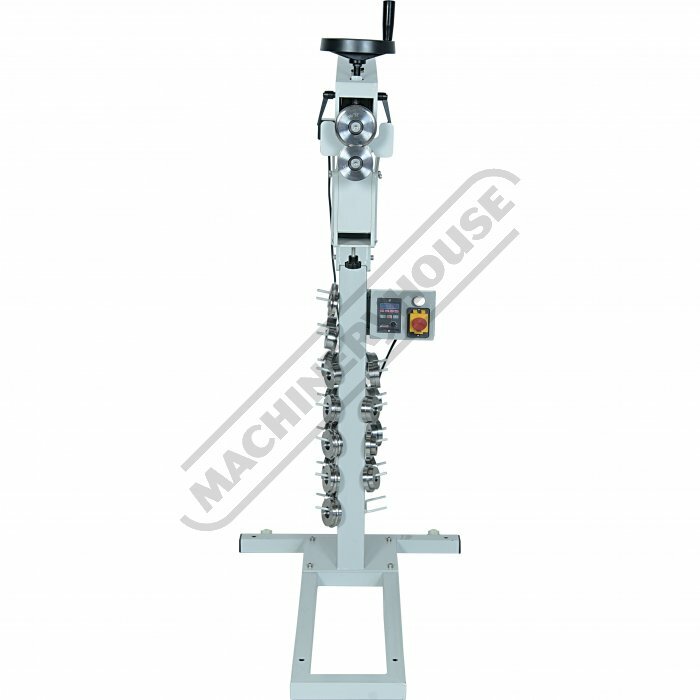 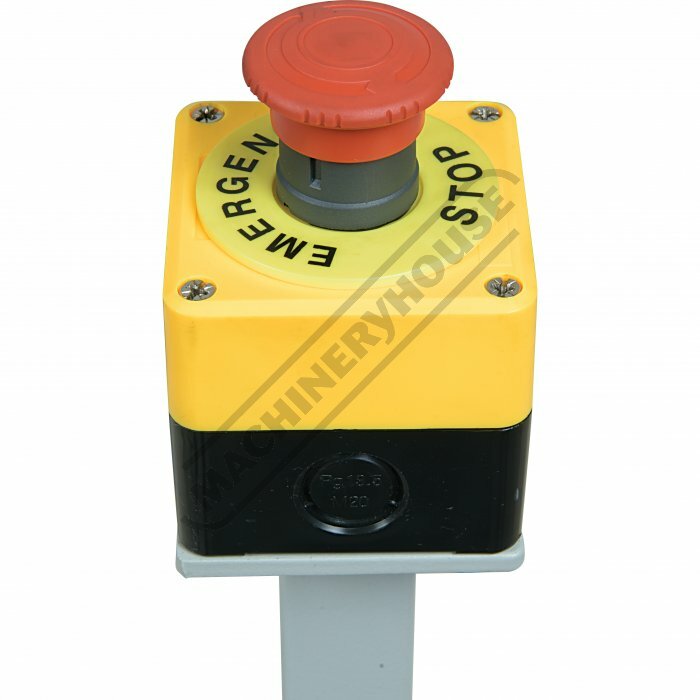 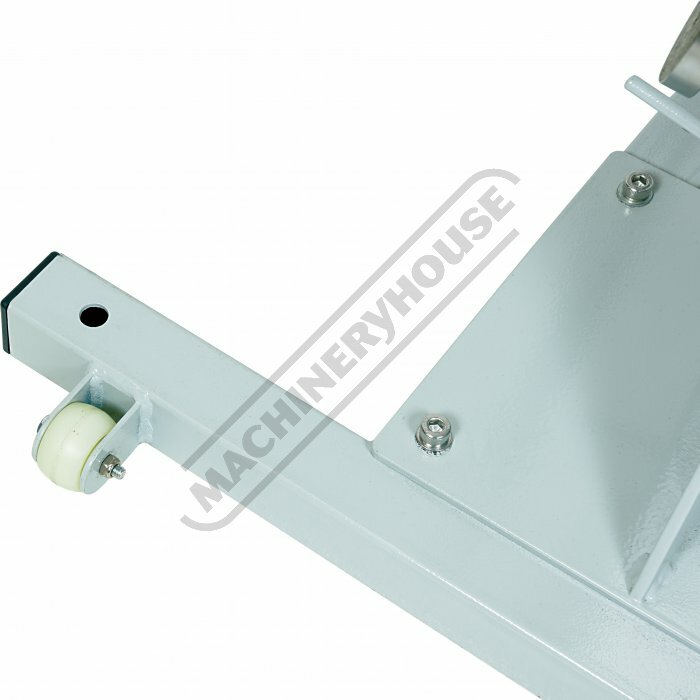 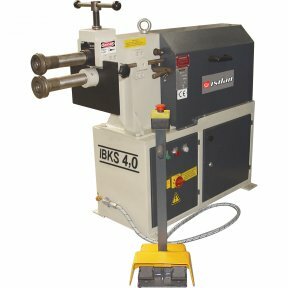 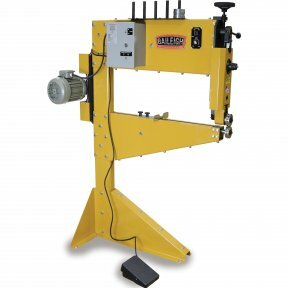 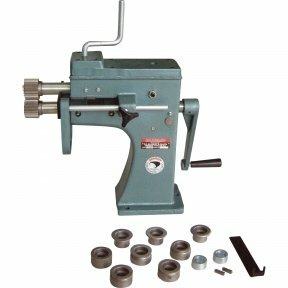 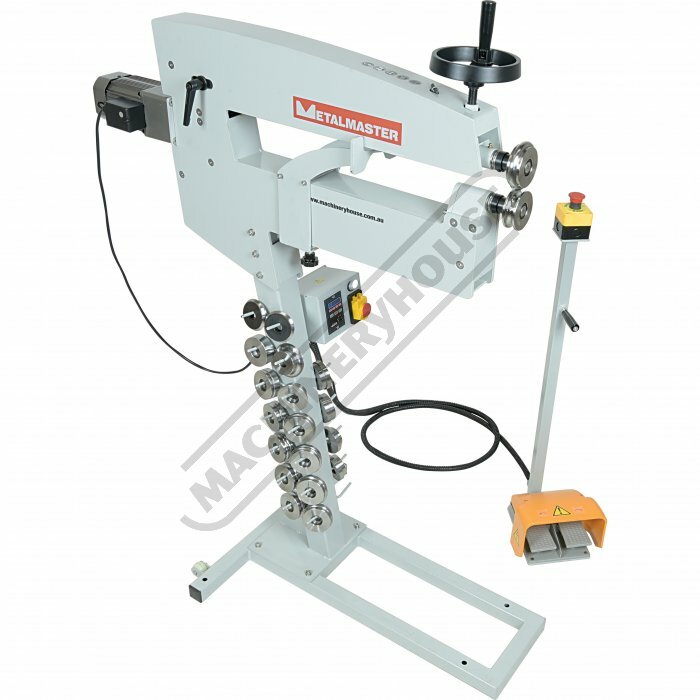 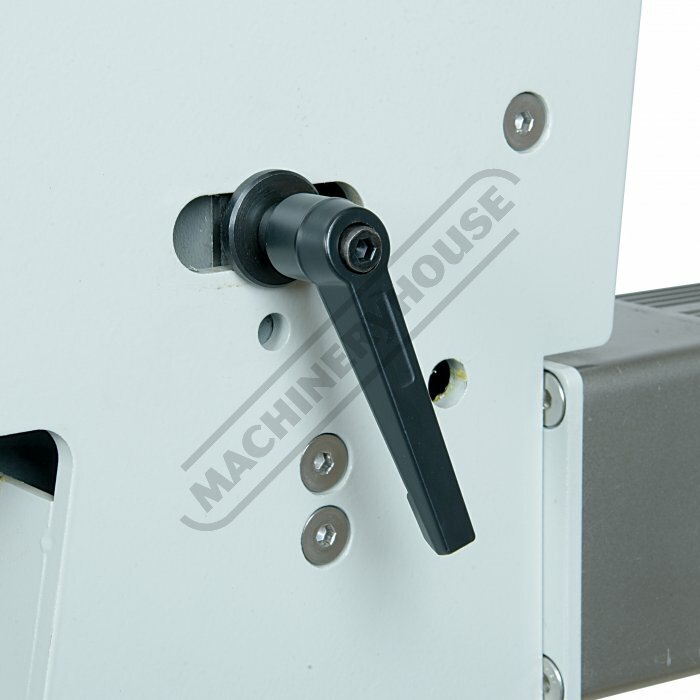 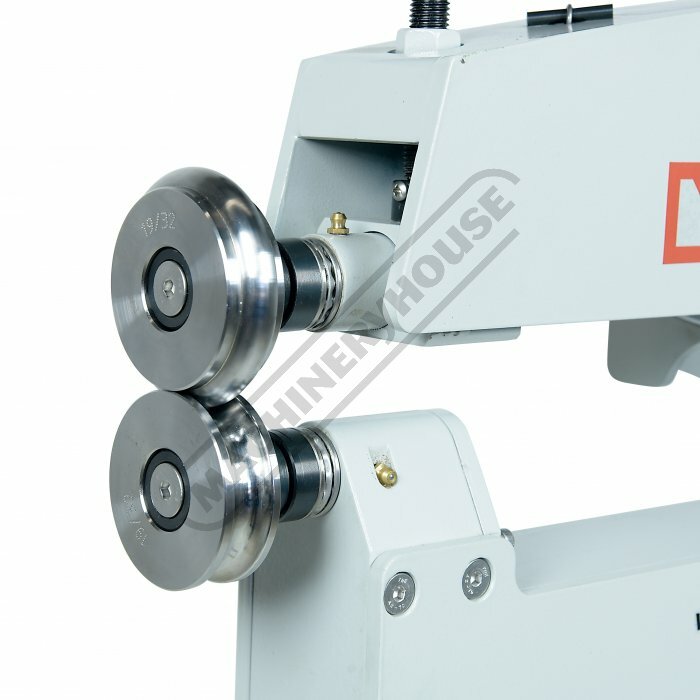 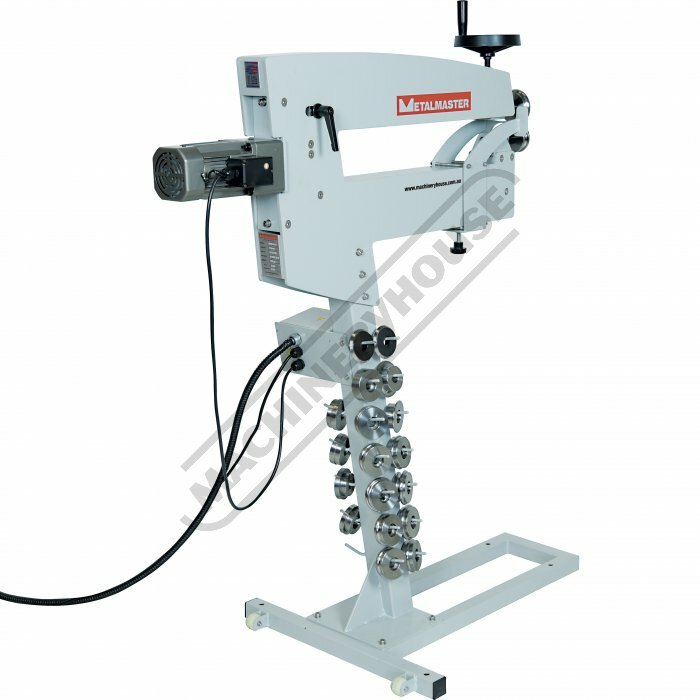 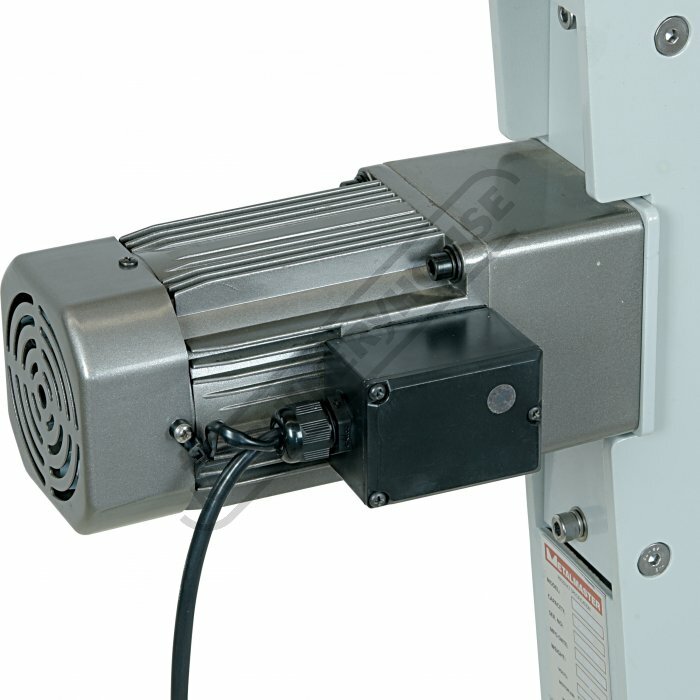 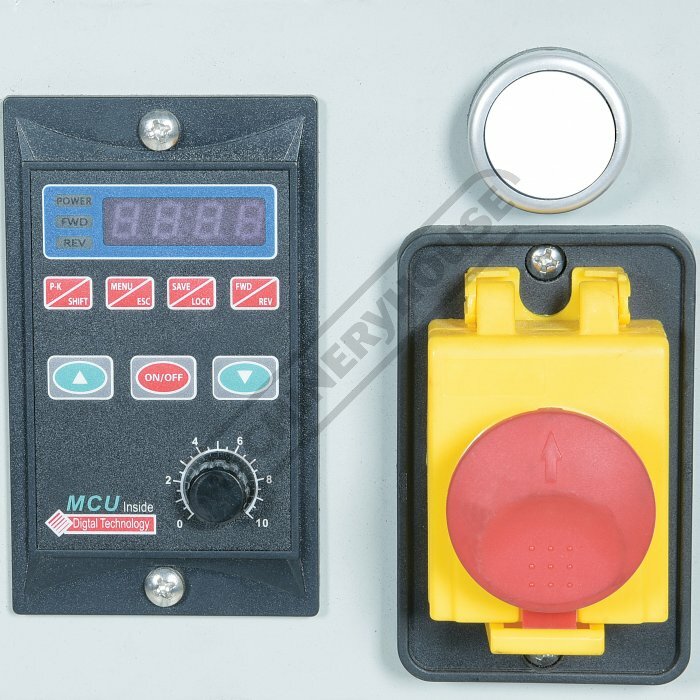 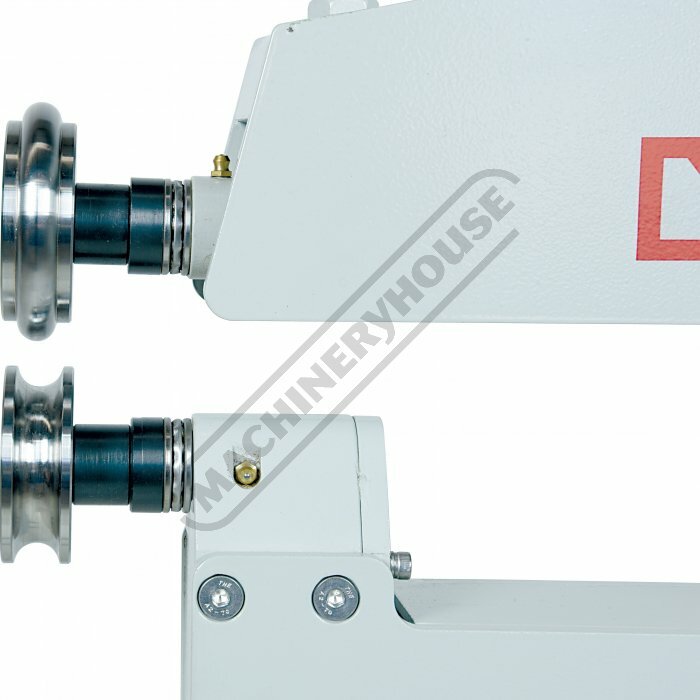 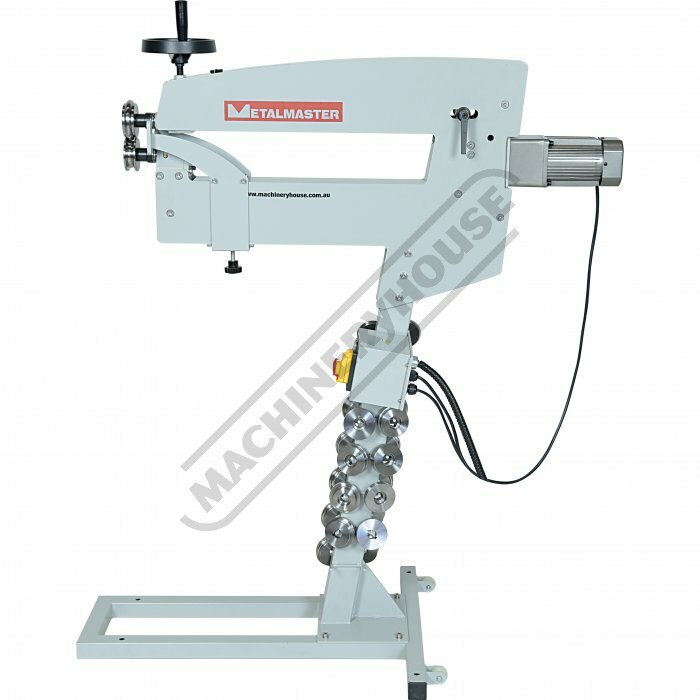 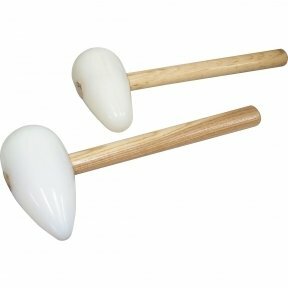 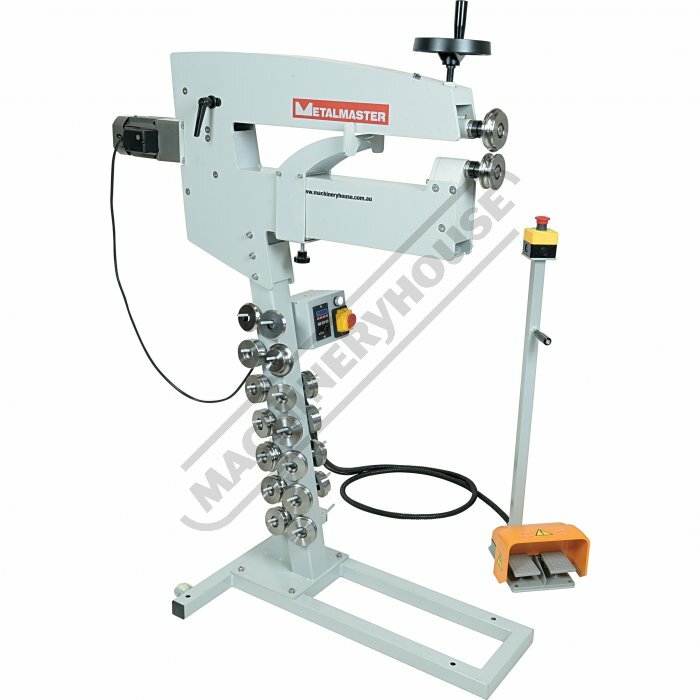 This bead roller is electrically gear driven via a forward & reverse foot control switch that drives both the bottom and top bead rolls. 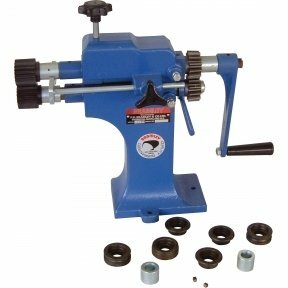 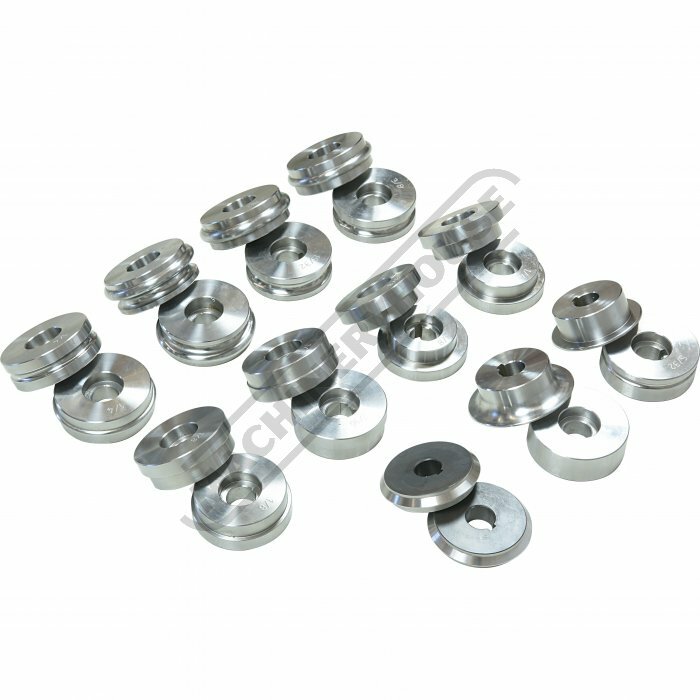 The drive shafts are supported in quality bronze bearing bushes and incorporate with thrust ball bearings for additional support & accuracy. 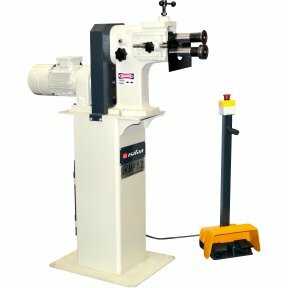 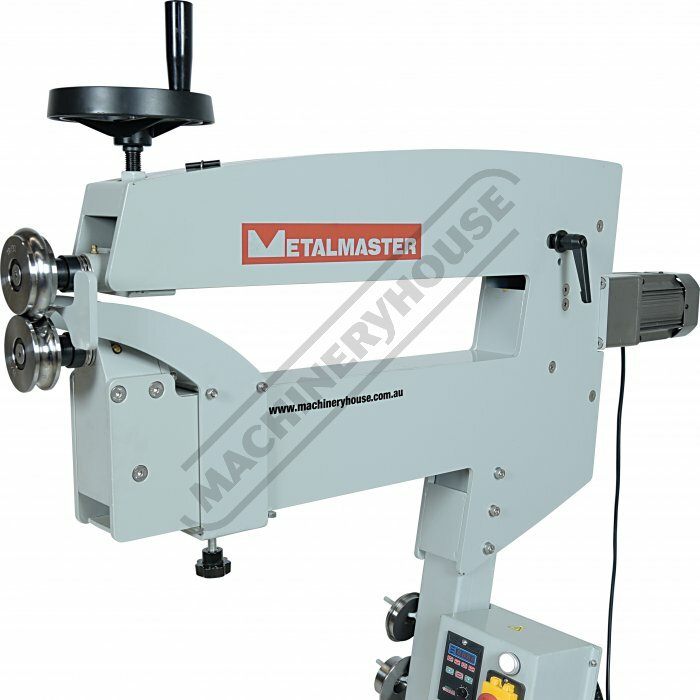 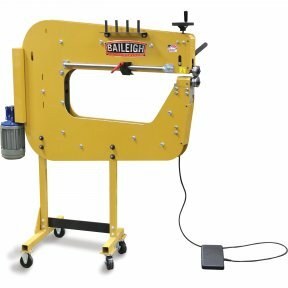 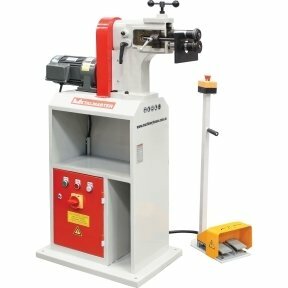 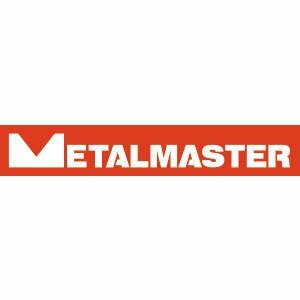 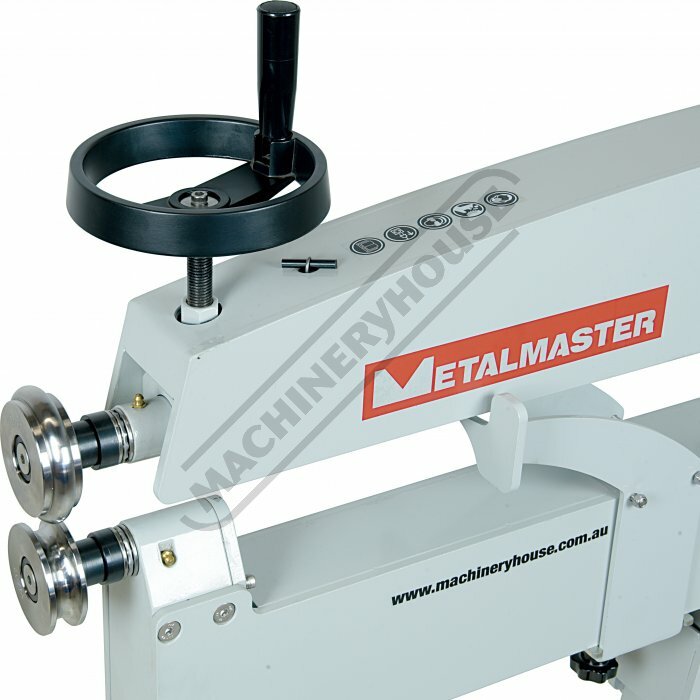 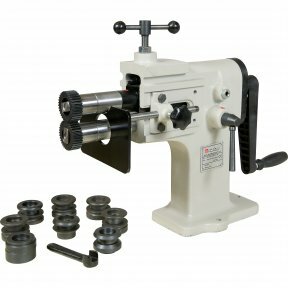 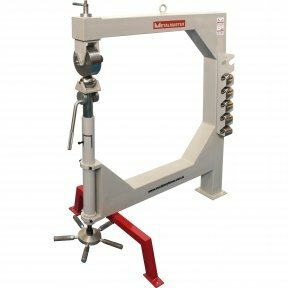 The MBR-610 also includes a stand that also stores the twelve sets of the most common rolls required by any metal forming automotive enthusiasts or professional.